Infant Cataract - Types, Symptoms, Diagnosis and Treatment! The lens of the eye is the part through which the light passes and falls on the retina where the image is formed. The lens in normally clear and allows light to pass through. 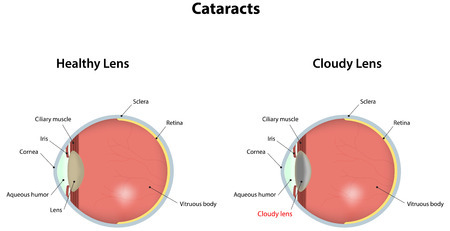 Clouding of the lens leading to a restricted vision is termed as a cataract. Eye cataract is normally an aging disease and as the age advances, the lens gets calcified until it is totally white. However in infant cataract, the clouding of the lens is present since birth. The common reasons why infant cataracts may occur in a new born are inherited diseases, metabolic anomalies, diabetes, trauma or as a complication of certain drugs. (a) Anterior polar cataracts: This type of infant cataract is located in the anterior portion of the eye and is generally associated with the inherited or genetic traits. Since it is located in the front of the eye, it required surgical intervention. (b) Posterior polar cataracts: They are located in the behind portion of the lens of the eye and are usually well defined. (c) Nuclear cataracts: Nuclear cataracts are located exactly in the centre of the eye and are the commonest form of congenital cataracts. They obstruct the vision to a great extent and so surgery may be required. (d) Cerulean cataracts: These cataracts do not cause vision problems but they are associated with small bluish dots on the lens of the eyes. They are seen associated with inherited tendencies and are present in both the eyes of the baby. Trauma or history of injury to the mother during pregnancy can be responsible for causing cataract in the baby. When trauma is considered as one of the cataract causes, child abuse must be ruled out to ensure safety of the child. Congenital cataracts may also occur due to a protein deficiency in the pigment formation of the lens of the eye. The symptoms of cataracts in babies are different than those in adults. The baby is not able to see the people or the things around him due to the clouding of the lens by the cataract. The vision can be completely restricted if the cataract is present in both the eyes. When taking a picture there is a red glow in the pupil due to the reflection of the light. 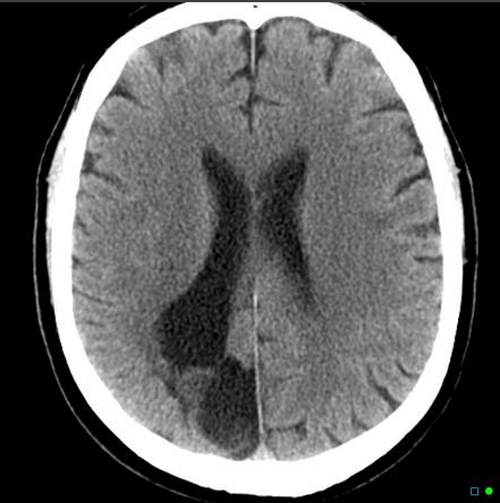 This is absent in babies with cataract. This is one of the accidental signs of cataracts which we often tend to miss. There are rapid and abnormal eye movements which are called as nystagmus. Vision Screening: The best way to detect infant cataract in babies is by subjecting them to early vision screening tests. Red reflex screening should be done for all babies within the first few days after birth and then again at the vaccination check up around 6 to 8 weeks. This testing is carried out in a dark room using an opthalmoscope. 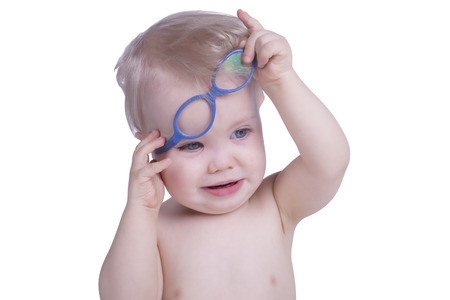 Preschoolers between the age of 3 and 5 are also subjected to vision testing. Absence of red reflex and any small opacity are the signs that the baby needs to be evaluated by an ophthalmologist. When the child is older around three years of age, coloured cards and lights can be used to check for visual acuity. When visiting an ophthalmologist, a detailed examination is done and many factors like presence of cataract in older siblings, history of diseases that the mother suffered from during her pregnancy etc are noted. Biomicorscopy or portable slit lamp examination are carried out to assess the exact location and severity of the cataract. Other anomalies of the retina and cornea and changes in the intraocular pressure can also be picked up. Genetic testing is also a very useful method of detection as most of the congenital cataracts are autosomal dominant mode of inheritance. If the retina cannot be examined due to the location of the cataract, then ultrasonography or B scan is carried out. If the retina is visible then complete retinal examination is carried out. If the cataracts are mild and do not obstruct the vision then no treatment is required but if the infant cataract is present in such a way that it obstructs the vision, then infant cataract removal surgery is required. In most of these surgeries, a new iol-intra ocular lens is put within the eye and the cloudy lens is removed. If the lens is not inserted then the child will need to wear contact lenses all his life to compensate the poor vision. If one eye is normal and the other is weak then to encourage the use of the weaker eye, a patch may be applied on the good eye. This helps to prevent amblyopia. Cataract eye surgery is the commonest treatment for infant cataracts. Congenital cataracts should be operated by experienced paediatric ophthalmologists (eye surgeon). The correct age for operating unilateral cataracts is 6 weeks and for bilateral cataract, the ideal age is 8 weeks. Anaesthesia is required for most surgeries in infants. General anaesthesia needs to be given and so there is a risk of apnea in very small babies. So they should be kept under observation for a day or two. 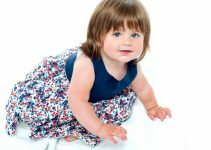 In older children, the procedure can be done on outpatient basis. Post cataract surgery some minor complications may occur. The number of complications are inversely proportional to the age of the baby. Glaucoma is the commonest complication after an eye surgery that can cause a risk to the vision of the baby. It can develop months to years after the surgery. The intraocular pressure needs to be kept in check for these babies. Bacterial keratitis may occur if the lens applied is very tight. Malpositioning of the intra ocular lens may also occur in some cases. Strabismus can occur along with congenital cataracts.